Are you worried taking whey protein will cause you health problems? What about hidden ingredients, preservatives, sugar, and other additives? You don’t want to risk your health over some powder, do you? All the hype and crazy marketing aside, let’s see what science has to say. Lucky for us, protein supplements have been around for some time. First, we’ll examine the research. Then with the help of simple logic we’ll determine the real dangers of whey. Simply put, it’s a byproduct of cheese production. Milk contains two major types of protein – casein and whey. The liquid part of the milk that is removed during cheese production is whey. Once the water is removed, you're left off with concentrated whey powder . Flavors and other ingredients may be added to improve taste, smell, and shelf life. Some companies may mix other supplements (e.g. BCAA or creatine) with their whey products. You can think of whey as a concentrated form of a specific milk ingredient. Note: all protein supplements contain dietary protein as their main ingredient. However, the protein sources vary. Based on the product type (name) you can figure out the source (e.g. whey, casein, egg, pea, hemp, etc). There are 3 types of whey supplements on the market. The major difference is how each one is processed. All types contain dietary protein as their main ingredient. 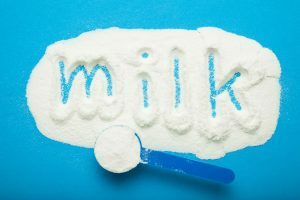 But there are other nutrients like fat, carbs (mainly lactose – milk sugar). Also, some vitamins and minerals in small doses. Hydrolyzed whey: About 85% protein content. It’s also “pre-digested” to allow for faster absorption. Isolate: Up to 95% protein concentration. Has the lowest concentration of other nutrients. The lower the protein content, the higher the content of carbs, fats, and other nutrients. This means improved nutrient profile and better taste. But if you don’t tolerate dairy well, a more “pure” type of whey will likely be easier on your gut. In terms of overall nutrient quality and taste, Concentrate is likely the best. But Isolate has the highest tolerance level. It also serves the highest amount of protein per serving. Hydrolyze is somewhere in the middle. Poor dairy tolerance aside, protein concentration levels make almost no difference. You won’t see notable changes in physique or performance if you switch products . We’re literally talking about a couple of grams extra carbs or protein. Takeaway: the difference between concentrate, isolate and hydrolyzed whey are not great. Unless you have problems with dairy products it makes little difference which one you choose. 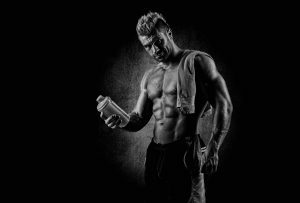 #1 Are Whey Supplements Safe? The supplement industry is not well regulated. Product claims may be inaccurate or downright false. Transportation and storing can also affect the quality of the supplement. For example, fish oil quality can rapidly degrade if not stored properly. However, whey is cheap and very easy to produce. Also, due to its powder form, it has a long shelf life. Unlike many other products it contains very few additives. We’re talking about a simple product you can’t mess around with much. Adding anything extra will increase production costs. Worst case, the product has been diluted. Usually, it’s done by replacing some of the protein content with carbs. Sugar is cheaper than whey, so it saves money. But then again, a bit of sugar won’t affect your health. 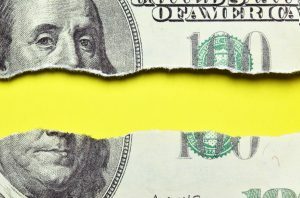 Takeaway: most brands don’t have a financial incentive to put anything “harmful” in their products. Though protein content might be lower than what it says on the label. 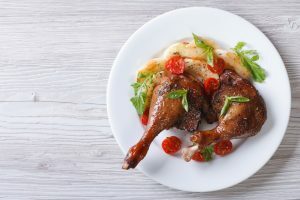 #2 What Does Protein Do that Is Bad For Me? Most common problems are linked to digestive issues. Those may include nausea, flatulence, diarrhea, abdominal pain, and cramping. All those symptoms suggest poor whey (dairy) tolerance . However, many foods can cause the same issues. Food intolerances are very common but rarely pose serious issues. Most people can name at least 2-3 food items they can’t eat. Or, they need to limit consumption to avoid discomfort. Takeaway: whey protein can cause digestive issues. But none of the symptoms are unique to protein powders. .
#3 Can Too Much Whey Protein Cause Side Effects? A single scoop can be problematic for some people. People with a dairy intolerance or those allergic to whey might experience serious discomfort after consuming just a tiny amount. Most individuals can handle 1-2 scoops a day just fine. This is about the recommended amount. However, increasing the dose might increase the chance of digestive discomfort. Takeaway: if consumption doesn’t exceed the recommended dose, the chances of side effects are usually low. #4 Can Whey Shakes Cause Digestive Issues? Yes. But as we already mentioned tolerance is highly individual. Note that the processing of whey often times improve digestion and tolerance. Also, the type of whey, dose, and meal timing matter a great deal. Takeaway: digestive issues are not uncommon. Switching products and avoiding whey consumption on an empty stomach often help resolve the problem. #5 Can We Digest Raw Protein? Eating raw protein sources is not a great idea. Apart from poor nutrient absorption, the likeliness of digestive problems is high. However, whey supplements are processed and ready for consumption. Some people with poor dairy tolerance can safely consume Concentrate or Hydrolyzed whey. Takeaway: most protein supplements can be consumed with minimum preparation. Just mix with liquid and drink. Yes, whey can increase inflammation. However, many other foods (e.g. processed carbs) affect inflammation levels to a much larger extent. Recommended whey intake is also not significant enough to cause serious problems. Let’s not forget inflammation is a vital natural process. For example, it can be triggered when lifting weights. Thanks to that very process muscles grow and become stronger. Inflammation becomes problematic when it’s excessive or chronically elevated. Takeaway: inflammation is not inherently bad. But even if we’re talking about chronic (“bad”) inflammation, limiting whey intake will rarely solve the problem. Other, more drastic dietary changes may be needed. One notable exception is when the issue is caused by a poor whey tolerance or allergy. #7 Does Protein Powder Damage the Kidneys? It is not advisable for people with certain kidney or liver issues to consume high amounts of protein. However, healthy individuals shouldn’t fear high protein intake. Certain bodybuilders consume crazy amounts of protein for years. Very few ever experience any kidney problems . Takeaway: high protein consumption won’t damage your kidneys. But people with existing kidney problems may need to limit overall consumption. This includes protein from all kinds of foods (e.g. meat, dairy, eggs, and vegan sources). #8 Can Drinking Whey Protein Without Exercise Be Harmful? Apart from the digestion issues stated before, there are no other serious dangers. But slamming down protein shakes without any clear goal is not recommended. You can think of whey protein as food, not a supplement. Whey is a concentrated form of milk protein. Cheese and yogurt are other forms of processed milk. If we compare whey to food, it’s easy to see why exercising makes no difference. Food doesn’t suddenly turn “harmful” when you cancel your gym membership. This doesn’t mean you shouldn’t control your intake. Protein has calories. If you go way over the recommended intake, you might gain a few pounds of fat. Takeaway: supplementing whey when not exercising is perfectly fine. You should treat whey supplements as food. Note that there are times when adding whey on top of an already bad diet is not a good idea. #9 Is Whey Protein Cancerous? Cancers come in many kinds. Also, It’s rare for a cancer type to have a single cause. There are a multitude of factors that may increase your risk of certain types of the disease. Even if you smoke a pack a day, it doesn’t mean you’ll develop lung cancer. Genetic predispositions and a dozen other factors also play a huge role. Dose and time of exposure are important as well. That’s why we use the word “risk factor”, not “cause”. Whey supplements are primarily made of amino acids. Amino acids are the building blocks of protein. Protein itself is one of the 3 major components of pretty much everything you eat. The other two most common nutrients are carbs and fats. To label whey as “carcinogenic” means, we’ll have to consider all food dangerous. This is far from reality. Yes, there are some foods that might be carcinogenic. But those are the rare exception. Even with those foods in mind, the risk is 100x lower compared to things like alcohol or tobacco. Takeaway: whey protein is not carcinogenic. #10 Do Cancer Cells Feed on Protein? Cancer cells can feed on many things. They require energy to survive. That energy has to come from somewhere. Whey protein is as good as any other source. Note that cancer cells are not that picky. Whatever we eat will likely also feed cancer cells as well. Takeaway: whey supplementation will have no notable effect on cancer cell growth. #11 Does Whey Protein Fight Cancer? As we discussed before, whey protein is sold as a supplement. It’s clearly not a cancer drug. 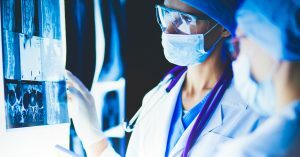 Cancer treatment is a very serious matter. It’s not as simple as going to GNC and picking up a tub of $20 protein powder. Takeaway: whey protein doesn’t treat cancer. Whey is made of milk. By definition, it’s a dairy product. #13 Can You Take Whey If You’re Vegan or Vegetarian? Whey is a dairy product. Most vegetarian and pescetarian diets allow the consumption of dairy products. However, our vegan friends should avoid all animal products. This includes whey powders. #14 Is Casein Better than Whey? Whey is known for its fast absorption. While casein is digested at a very slow rate. Athletes can use both types strategically to feed muscle growth. Whey: after long periods of no protein consumption. Usually around a workout, when the protein requirements are high. You need protein fast. Casein: before long fasting periods. Usually before sleep or when there are no meals coming up in the next several hours. When you want to bank up on protein. When whey is consumed as part of a complete meal its absorption will also slow down. The difference between the 2 supplements is most apparent when consumed in a fasted state. Note that protein timing is not an issue for non-training individuals. Takeaway: Serious athletes trying to optimize their diets, might benefit from strategically using one or the other. However, for most people the difference is too small to affect training results. Also, casein may cost a bit more. #15 Does Whey Have Calories? All protein powders can be considered food. Whey is similar to cocoa powder (e.g. Nesquik) – another processed source of energy. Though the main difference is that the primary ingredient of hot chocolate is carbs, while a whey shake contains mostly protein. A hundred grams of whey has about 350 to 400 kcals. This is similar to consuming the same amount of meat (raw weight). Takeaway: A scoop of whey has about 100 kcals. #16 Can Protein Make You Fat? Technically, yes. 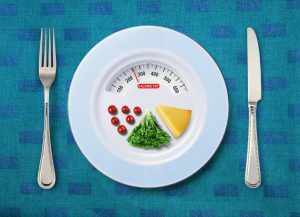 Like everything that has calories, overconsumption can lead to weight gain. However, protein shakes are very low on calories. If you use them as recommended you’re unlikely to gain unwanted weight. This means using whey to replace a single protein feeding, not adding it on top of a complete meal. Also, you shouldn’t exceed the recommended servings (1-2 scoops a day). #17 Can Whey Protein Help with Weight Loss? As mentioned before, whey protein has calories. Losing weight comes down to consuming fewer calories. Adding protein shakes on top of your meals won’t help you burn fat. It may even have the opposite effect. However, whey has fewer calories than other protein-rich meals (e.g. fatty meats). Replacing high-calorie foods with whey may reduce your total caloric intake. In that case, you can lose weight. If you want to reach 10% body fat you may consider whey as an alternative to some fattier foods. Also, people who consume protein powders are usually involved in some kind of activity. Supplement consumption is common among the more health-conscious individuals. While whey itself is not a fat burner, it may help reinforce your new gym identity. Takeaway: protein supplementation doesn’t directly lead to weight loss. However, it can indirectly help you improve your fitness habits. That may eventually lead to weight loss. #18 Does Protein Speed up Your Metabolism? Not in any notable way. Your metabolism is largely determined by your genetics, activity levels, overall quality of the diet, and current body fat levels. To change your metabolism you need to make pretty drastic changes. Going on a diet is one such thing. It involves reducing your food intake, and meal choices. Altering your overall diet composition can also help. This is because protein metabolism is not very cost-effective. Your body has to work extra hard to metabolize it . Fat and carb metabolism, in contrast, is more efficient. 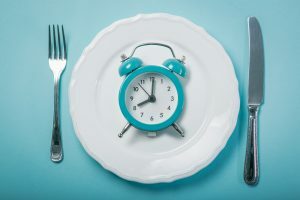 This means carb and fat-heavy diets can make your weight loss journey slightly longer. A protein-heavy diet may make fat loss a tiny bit easier. However, those are major diet changes. Whether or not you’re drinking protein shakes is just a tiny piece of the puzzle. Too little to have any impact in isolation. Takeaway: protein shakes have no notable impact on metabolism. #19 Can I Drink Protein Shakes During Intermittent Fasting? During the fasting period, no consumption of food or caloric drinks is allowed. However, outside of the that period (usually an 8-hour feeding window), protein shakes are fine. Takeaway: protein supplements contain calories are should only be consumed outside the fasting window. #20 Does Drinking Protein Shakes Help Grow Muscle? Protein supplementation by itself doesn’t grow muscle. First, you need to provide enough training stimulus in the gym. Then cover your protein needs to fuel the post-workout muscle growth . Note that once your protein needs are met, extra protein coming from shakes doesn’t provide additional benefits. Takeaway: protein shake can help build muscle only in a combination with proper training. #21 Can I Build Muscle Without Drinking Protein Shakes? To build bigger muscles you need proper training and adequate food intake. There is no need to drink protein shakes. Muscles are made of protein. So the body requires protein from the diet . However, the exact source makes little difference Protein from food or shakes can get the job done. Yet protein supplements offer convenience and can save you a lot of time. Check out this video where Mario talks about the role of supplements in your fitness journey. Takeaway: protein shakes offer a convenient meal replacement, but are not required to gain muscle. 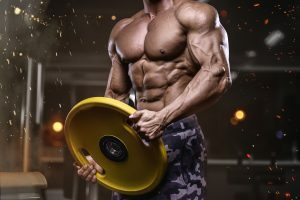 #22 Are There More Effective Supplements to Build Muscle? Protein supplements are by no means magical. They can aid muscle growth, but so does regular food . Whether your dietary protein is coming from chicken breast or whey, it’s almost the same in terms of muscle growth. However, whey protein is one of the few fitness supplements that actually works. Precisely because it’s very similar to real food. It’s hard to even call it a supplement. It may even be used as a post-workout meal replacement. Most other supplements are hardly effective because they are just that – supplements. Not to mention the industry is poorly regulated, so most product claims are rarely backed up by science. Takeaway: protein powders are one of the few fitness supplements that actually work. #23 Are BCCA Supplements a Better Source of Amino Acids? Branched-chain amino acids (BCAAs) are a group of 3 essential amino acids: leucine, isoleucine, and valine. Those 3 are considered especially important for building muscle. Note that there are 9 essential amino acids (AA). Muscle growth only occurs if you consume adequate amounts of all 9 types , not just the 3 in BCAAs. Most protein supplements contain all essential AAs, including BCAAs. Though the levels of leucine, isoleucine, and valine are not as high as in a pure BCAA supplement. Yet, that’s far less important than having a complete amino-profile, with all 9 AAs present. Takeaway: protein supplements are a better source of amino acids. #24 Are There Better Protein Sources than Whey? Protein quality is determined by the amino-profile and absorption rates of the source. Generally, animal proteins (meat, eggs, dairy) contain all essential amino acids. Also, a large percentage of the dietary protein in those foods is bio-available. While most plant sources have poor amino-profile, and not all of the protein is fully absorbed. However, if your diet is varied enough and you consume enough protein-rich foods, you can cover your requirements. That being said, protein quality is rarely a problem. Back to whey, it’s actually one of the best protein sources out there. Mostly because it’s a dairy product. And the high level of processing does increase its absorption rate. Takeaway: whey protein is one of the best protein sources. #25 Is Real Food Better than Processed Protein? Yes. As stated already, protein shakes are meant to be a convenient source of dietary protein. But they are not meant to replace all your protein feedings. The higher the degree of processing, the fewer nutrients are left in the final product. Since your body requires various different nutrients, it’s important you consume mostly whole foods. 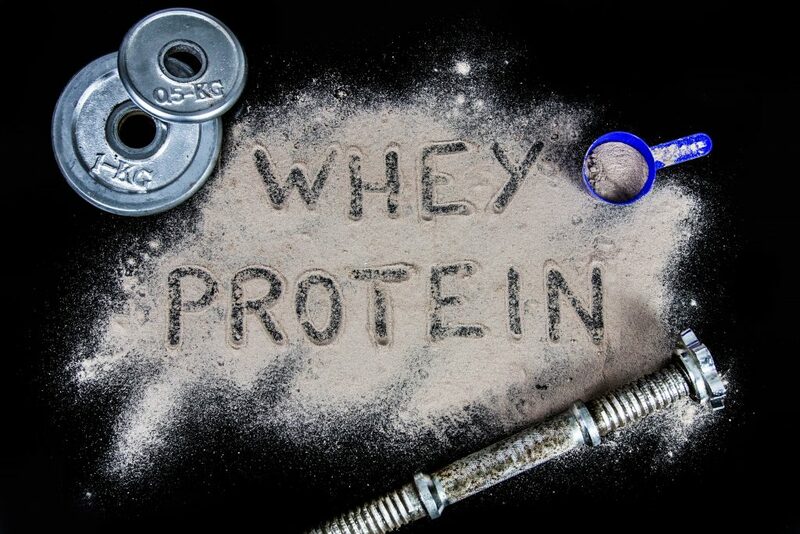 Whey supplements are high in dietary protein. But poor in almost all other nutrients. However, if your diet is already pretty varied, supplementing whey doesn’t pose any dangers. Takeaway: protein supplements offer convenience, but should not replace all your meals. #26 Can I Survive on Nothing but Protein Shakes? No. Your body has a lot of different nutrition requirements. Fats are especially important. Not to mention the myriad of plant fibers, vitamins, minerals, and phytochemicals. Protein shakes can only cover your dietary protein needs. But that’s about it. #27 Do Protein Powders Expire? As all other products meant for human consumption, whey protein comes with a “best before” label. Though protein powders can last a good while. Water plays a huge role in the shelf life of most products. Since protein powders contain no water they can last a good while. Takeaway: protein supplements do expire. But their shelf life is pretty long. #28 Is It Bad to Drink Expired Protein Shake? Even after opening, the product’s quality will be barely affected. This is provided you kept it away from moisture and sun exposure. That means the powder may still be safe for consumption past the expiration date. This doesn’t apply to a shake you’ve left out in the sun for a few hours. Be sure to apply caution, give it the sniff and taste test first. Look for signs of moisture exposure or mold. 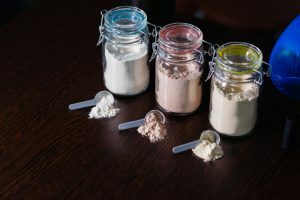 Takeaway: expired protein powders might still be safe if they were kept away from heat, moisture, and sunlight. #29 What Are the Health Benefits of Whey Protein? If your regular meals cover your dietary protein needs, supplementing whey offers no extra benefits. But if you struggle to hit your protein targets, adding a protein shake can make a difference. Especially if your goal is to build muscle. This is when your protein needs are higher than usual. Takeaway: protein supplements offer no direct health benefits. But they can help athletes meet their elevated protein demands. #30 Do I Need Protein Supplements? By definition, supplements are not mandatory. They are useful tools to make our lives easier. Protein shakes can be convenient and save time. They also make meeting dietary protein targets easier. Yet food is just as good. It just takes more effort to prepare and consume. #31 Is Protein Powder Worth the Money? It depends on your goals. For non-training individuals, it may be a total waste of money. But for serious gym-goers, it may be a good investment. Adequate protein intake is important for a lot of sports. Adding a protein shake can really help meet your goals easier. Most brands are not expensive. At least if you compare them to the same amount of dietary protein you’ll get from meat, and account for prep and cooking time.